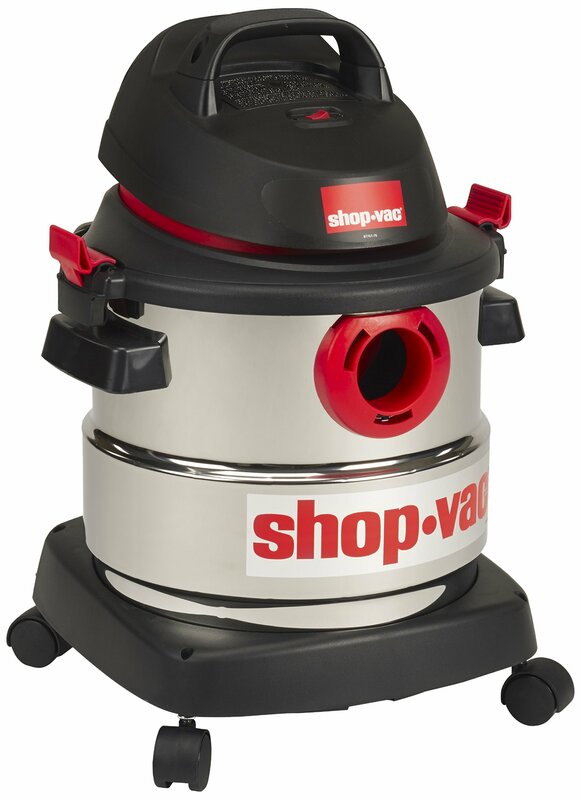 Shop Vac 5-Gallon 4.5 Peak HP Stainless Steel Wet Dry Vacuum Top Quality SS Tank [“Stainless steel tank”,”Positive lid latch system”,”Rear blower port”,”On board cord and accessory storage”,”Assembled in USA”] Shop-Vac 5986000 5-Gallon 4.5 Peak HP Stainless Steel Wet Dry Vacuum Shop-Vac wet dry vacuum includes 7′ x 1.25″ hose, (3) extension wands, 10″ wet dry nozzle, Gulper nozzle, crevice tool, cartridge filter, foam sleeve, and filter bag. This unit features, top carry handle, rear blower port, and positive latch system. DELIVERY TIMESDomestic lower 48 free shipping is expedited. We have many different shipping locations depending on the product you buy and the shipping location that you choose. We try to ship most items within 24 hours of payment Monday-Friday. Most orders are in transit for two days but some may take longer. If you have a specific time frame please contact us before you make the purchase.If you are ordering an electical or electronic item from us, the majority are US based according to the US electical and electronic stanards and may not work without a voltage add on in your country. If you use such a device with your item, it is at your own rishk and we cannot gaurentee the item used outside of the US electrical standards. Please check any voltage o adapters or devices before purchasing to insure they will work for you!